The United States Federal Communications Commission today informed T-Mobile and Sprint [PDF] that it needs more time to review the proposed merger between the two companies before making a final decision on approval. According to the FCC, it is pausing the informal 180-day transaction clock to allow for "thorough staff and third-party review" of newly submitted and anticipated business documents. Sprint and T-Mobile on September 5 submitted a revised network engineering model that's "significantly larger and more complex," which the FCC needs to look over. The two companies also did not provide the FCC with documentation on a "Build 9" business model until September 5, so that's also something the FCC needs to review, and T-Mobile is also planning to offer up additional economic modeling documents. The FCC says that the 180-day clock will remain stopped until T-Mobile and Sprint have completed the record "on which they intend to rely" and a reasonable amount of time has passed to allow the FCC and third-parties to look over the documentation. 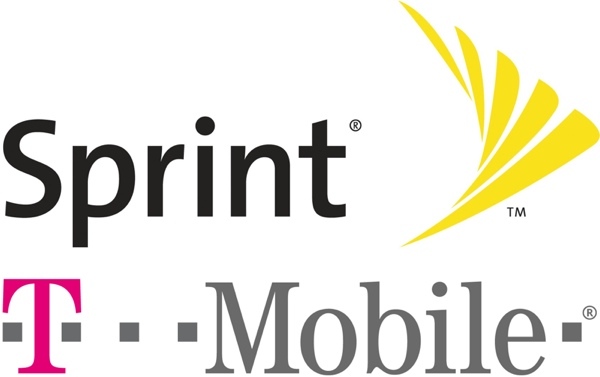 Sprint and T-Mobile officially reached a merger agreement back in late April, so the original 180-day review period was set to end in October. The FCC aims to complete applications for license transfers relating to complex mergers within an informal 180 day period, but warns that some application review periods can exceed 180 days. If the T-Mobile and Sprint merger is ultimately approved by regulators, two of the four major carriers in the United States will combine into one single entity. T-Mobile and Sprint combined will have nearly 100 million customers, putting it second only to Verizon. The combined company will be named T-Mobile and current T-Mobile CEO John Legere will serve as the Chief Executive Officer. Sprint and T-Mobile have previously said they're hoping to close the deal in the first half of 2019. I don’t agree. Right now Sprint and T-Mobile are not in the same park with T and VZ especially in rural areas. This will allow the two companies as one compete. Or you could look at it this way it is only a matter of time before Sprint goes bankrupt. So let them merge while this is viable or let one of them go out of business. Your choice. Wireless prices are already ridiculously high and this merger can do nothing to help the situation. Having only three carriers is a recipe for price fixing. Regardless if a merger happens or not, prices will continue to go up at Verizon and ATT. And if you believe that T-Mobile will ever do anything with Verizon and ATT (in terms of something like price fixing), then you are sadly mistaken. Block the merger and then divide up ATT and VZW into various companies that can compete. Yes, because punishing successful companies has always been a recipe for capitalism. :rolleyes: This isn't super liberal Europe or communist Russia. I agree with you. Softbank was going to unload Sprint one way or another. And once that happened, Sprint would have gone bankrupt via slow death. That would not have helped anyone. The only way to save Sprint was via a merger of some sort with either another telecom (like T-Mobile) or a media company like ComCast/Cox. The merger needs to happen. Sprint isn’t a competitor in the wireless market anymore, it’s just an old, running joke. This merger could help the two companies become a viable, stronger competitor in the market. Break 'em all up. Capitalism is evil in the first place. LOL. So is communism, liberalism, conservatism, marxism, socialism... everything is evil. Merger....Result, will get more expensive.....not less. Yes, lets divide your family business as well. Why? Because we can. Ha! Not the world I want to live in. Get outta here with that nonsense logic. We have a choice of which network we give our money to for their products and services. There is no monopoly in the cell phone provider market. You have no choice over provider. I want TMobile on the 700 MHz band. How do I get that? Oh wait... no. Verizon has a monopoly on that. Stop trying to say that cell phone providers sell the same product. A monopoly in the network market would be control over the complete spectrum. Which isn’t the case. Some fast food restaurants only offer Coke. Others offer only Pepsi. Thats not a monopoly. No. That analogy doesn’t work. That would only be true if the entire spectrum was the same. It’s not. Different frequencies have different properties. Also, I can get coke and Pepsi at more than one place. I can’t use the 700 band with whatever carrier I want because VZW won’t let other carriers use it. Should both block it and force unwinding of the allowed marriages of content and distribution of the last decade. The government would be in court for decades.